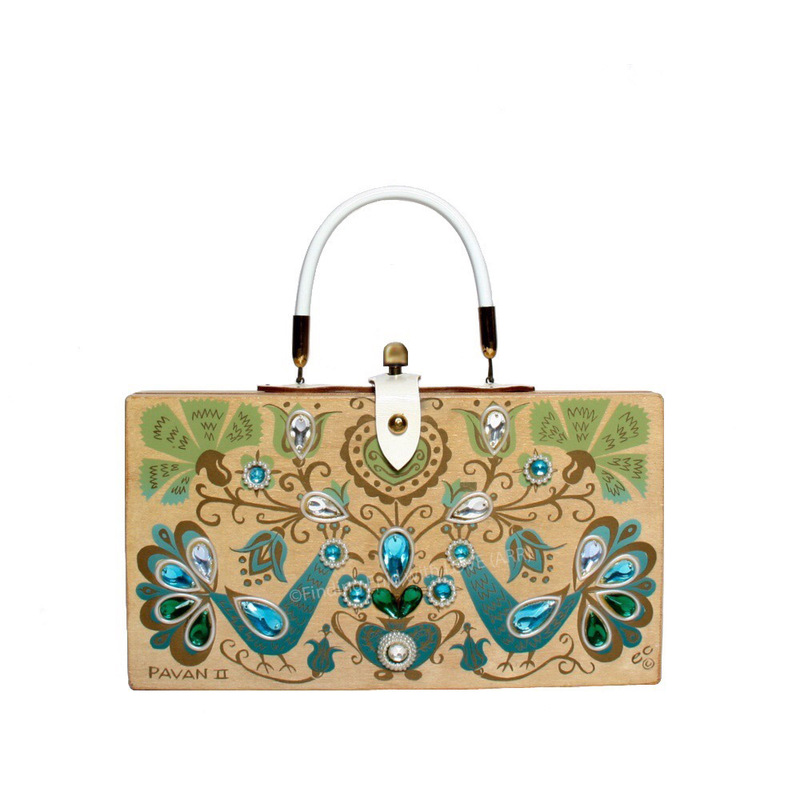 Box purse of light-toned wood screen printed in a gradient of turquoise, light green and metallic gold, depicting two peacocks in a mating dance, or "pavan" and surrounded with flowers and flourishes. Decorated with faux gems in aqua, crystal and emerald green and with acrylic pearl embellishments. "PAVAN II" serigraph appears in lower left corner in hand-script printed style. One of many variations on this theme. Reg. no. GP38031; 04/22/1963; "Stylized birds & flowers"